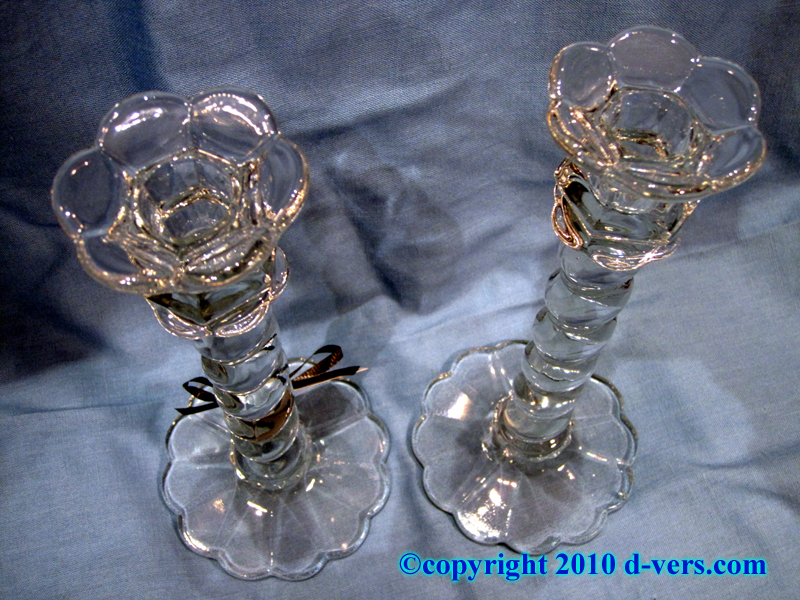 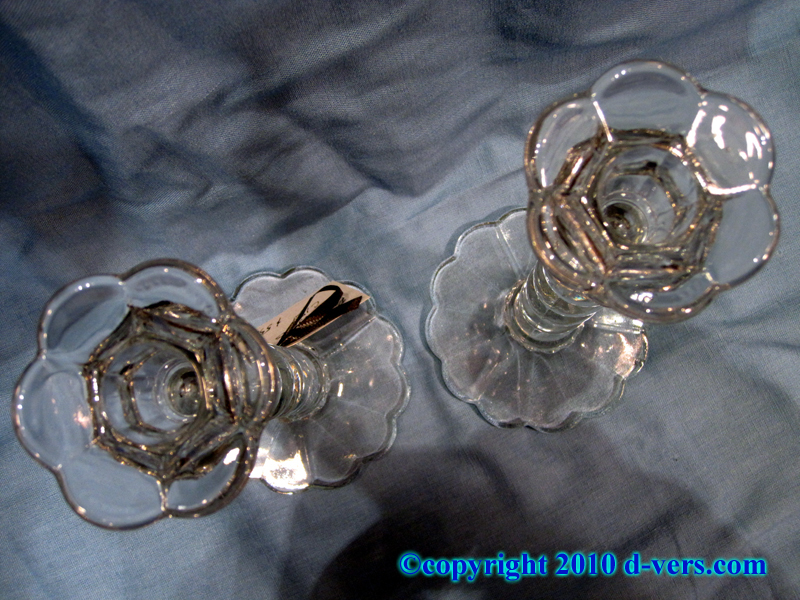 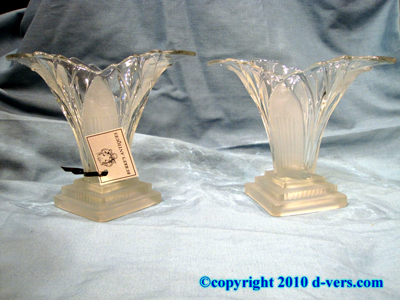 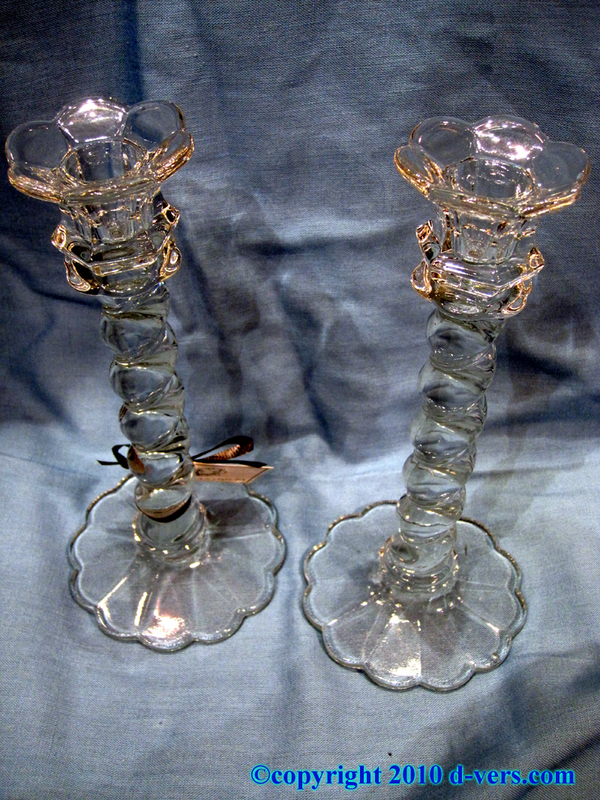 Pair of pressed glass candlesticks in a twist shape, 19th Century, English. 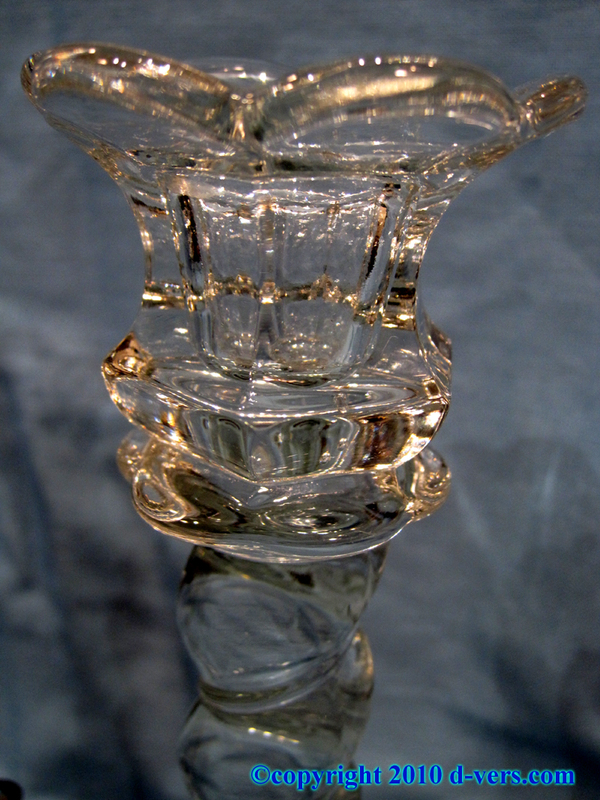 Stylized floral base surmounted by a shaft in a twist shape, upon which is set a cup shaped candle holder with bottom bulge, flaring at the top to a stylized floral mouth. 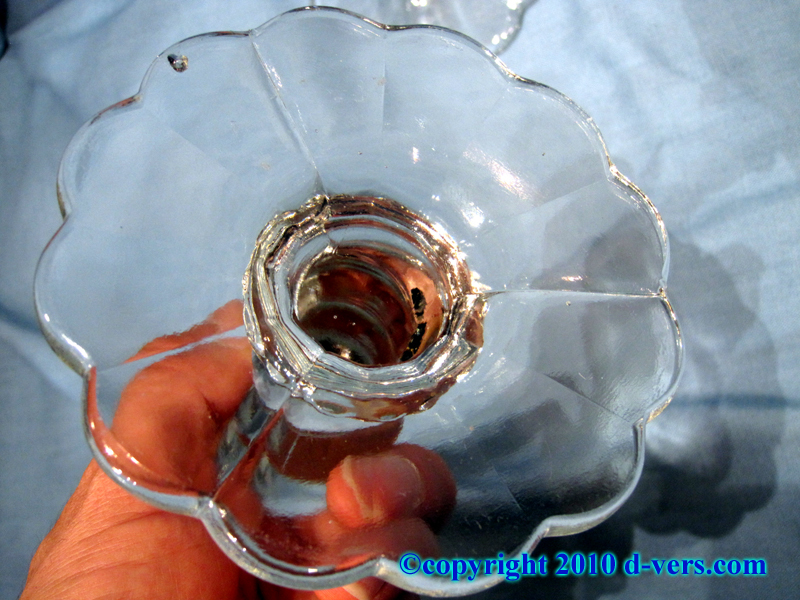 Two seams on this pressed glass candlestick, with the flared petal shape acting also as the drip pan, with no separate drip pan. 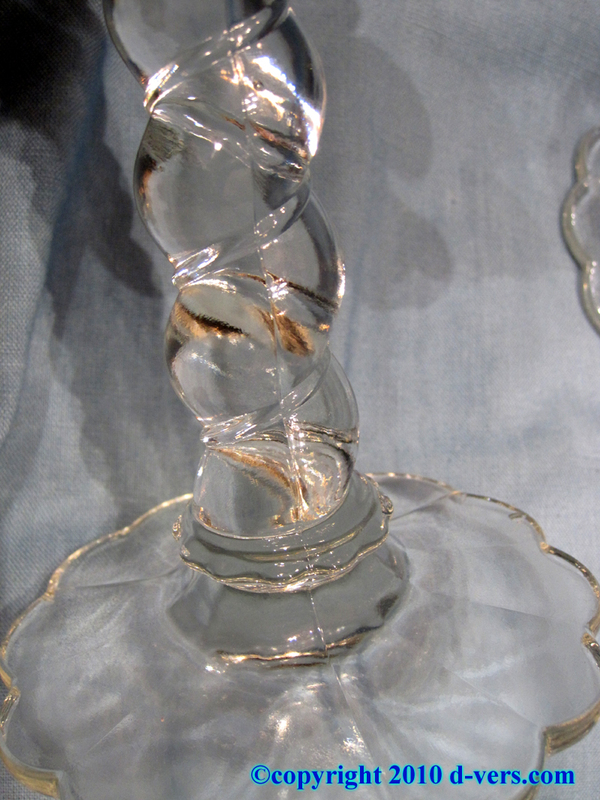 Made in the 19th Century, circa 1890. 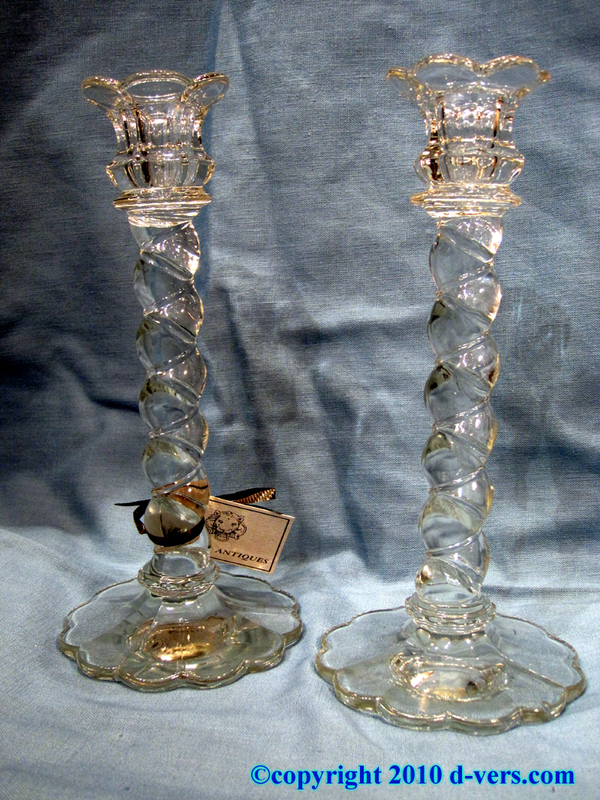 Candlesticks each measure 9" tall. 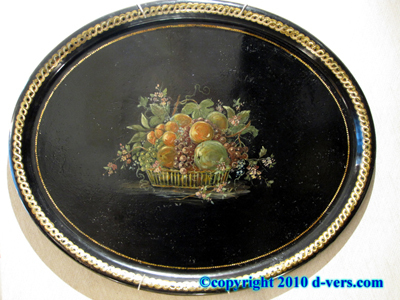 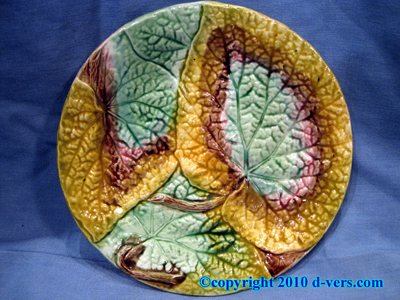 This piece was added to D-Vers.Com Online Gallery on Tuesday 30 November, 2010.